This is how I often felt when living two years ago in Mexico City. I had everything so many people would dream of; a beautiful house, a comfortable life, no worries about money. Although the first few months were great after some time, I started to feel angry, useless and frustrated. I was experiencing my expectations gap. The gap between what I expected from my life or career and the reality. It does not matter how beautiful the reality is. If it does not match with your expectations, it can still make you feel hugely dissatisfied. The further your reality is from your inner expectations the bigger the chance that you will not be happy. Let’s look at your expectations first. Are you clear about what you expect from your career and life in general? Some people expect from their career to bring them money, status, and recognition. Others want to have a nine-to-five job so that they can have enough time for their hobbies. Others want their careers to be meaningful and to be of service to others. What do you expect of your career? What are the most important elements you cannot miss in your professional life? Think thoroughly about those questions! How does your professional reality look like? Describe it as detailed as possible. One of my client’s expectations of her career, when she started to work for a well-known NGO, was to be close to people she wanted to help. So for years, she lived in developing countries in Africa and Asia to stay close to those who needed her help. Years have passed and she started to get promoted, one promotion after another. She moved countries. The higher she ‘climbed’ the less she liked her job. Until one day she couldn’t cope with it anymore and she called me. When we looked deeper at the cause of her professional unhappiness, it became clear that one of the main reasons of her unhappiness was because she lost touch with her primary motives – being close to the people she was helping. Together with the promotions, she moved more to the office, a paper-tiger type of job, which she did not enjoy anymore. How close or how far is your professional reality from your expectations? And what can you do about it if one does not match the other? What matters most is what you are going to do about bridging the gap. We all have basically three main choices. 1. We can alter our expectations. Although I am not the one to say quickly to lower your expectations, I would recommend you to check if the expectations are still the same. The expectations you had towards your career a couple of years ago might not be the same anymore now and you might not realize that. So have a look at your expectations and ask yourself if they are still the same. If not, consciously change them. 2. We can work on changing the reality. This is often the biggest part of the work I do together with my clients. We work to alter their reality to reflect their expectations. Sometimes a big radical step is necessary. Like quitting your current job, changing the sector, starting up your own company, going back to study etc. The possibilities are limitless. Sometimes small fine tuning of certain elements is enough as well. 3. And we can work on changing our attitude towards the gap. Life is not always perfect and sometimes we need to accept that we cannot change something right away. In order not to get crazy, frustrated or depressed we need to work on our attitude towards the gap. I experienced it recently when I felt extremely frustrated that my book was not yet finalized. My expectations were clear: have my book published by September, but my reality had different plans. Taking into consideration family life, my daily work while coaching clients, and other millions of things to do being a working mum, slowed down my process. I knew that feeling guilty and frustrated would not help me finalizing my book. I decided to change my attitude and I become milder towards myself. The challenge was to be at the same time taking ownership for finalizing the book project while taking steps forward and at the same time accepting that things will not get as fast as expected. 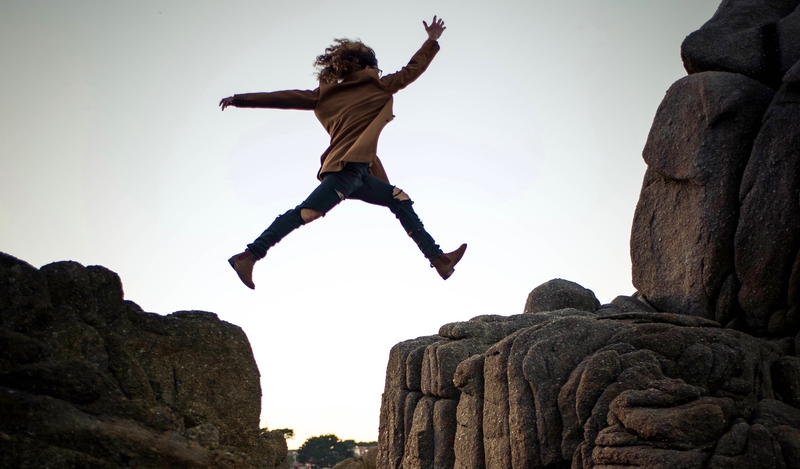 So how do you feel about your career expectations versus reality gap? Is there any gap? How are you approaching it? Share with me and others in the comments below!